A large clinical trial for a drug that treats dementia that is caused by Alzheimer’s ended for Eli Lilly in failure after the people receiving the drug did not show significant improvements compared to those who took a placebo. The failure of this drug, which showed great promise in results from earlier studies, is looked at as a big setback, but not an end of the hopes for fighting the disabling disease. U.S. pharmaceutical giant Eli Lilly said on Wednesday that its Phase 3 trial of solzanezumab had not progressed as was planned. The company announced through a prepared statement that patients who were treated with the drug did not have statistically significant slowing of cognitive decline in comparison with patients that were treated with just a placebo. Close to 47 million people globally have dementia. Medical experts expect that to double every two decades to reach more than 131 million by 2050. Dementia, that originates from Alzheimer’s disease, represents as much as 80% of all dementia cases. While two risk factors that are well established for Alzheimer’s include aging and genetics, there is hope adopting healthy habits of brain life could delay or even prevent the appearance of Alzheimer’s, says an U.S. based medical association. In the Eli Lilly trial, over 2,100 patients who had been diagnosed with mild cases of dementia brought on by dementia took part in the trial known as EXPEDITION3 that started during 2013. 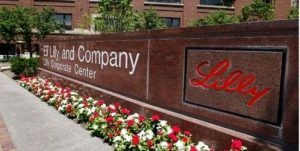 In a prepared statement the CEO, chairman and president of Eli Lilly John Lechleiter announced that the company was upset for millions of people that are waiting for a treatment that is potentially disease modifying for Alzheimer’s. In addition, he said that results were to be evaluated by the company to determine the overall impact on its other drugs for Alzheimer’s it has in its pipeline. The share price of Eli Lilly fell over 10% after the announcement. As with other drugs that are anti-amyloid, solzanezumab was made to lower the amyloid plaque buildup inside the brain, which experts believe contributes to loss of memory that is associated with Alzheimer’s. The clinical trial results could be another step backwards for the theory on amyloid, said a professor at a U.S. university. However, while the results were disappointing, they will spur on the scientific community in its examination of other possible cures for Alzheimer’s and dementia, said medical experts.